Shirley F. Wilmoth, 89, of Linger Run Horner, WV passed away on Tuesday, September 4, 2018 at his home following a brief illness. He was born in Clarksburg on June 24, 1929: son of the late Arthur Collins and Lula (Phillips) Wilmoth. He first married Nettie Jean Thompson, who preceded him in death in 1991. Shirley then married Anna Wilmoth on July 15, 1991, who survives. Mr. Wilmoth is also survived by one daughter: Sandra Bennett of Laura, OH, three sons: Roy Darrell Wilmoth of Houston, TX, Edward Lee Wilmoth of Winchester, VA and James Allen Wilmoth of Horner, WV, 6 grandchildren, 13 great grandchildren and 1 great great grandchild. He is also survived by one brother: Brenton Collins of Parkersburg, one sister: Linda Stuart of Salem, WV and several nieces and nephews. In addition to his parents and first wife, Nettie Jean, Shirley was preceded in death by one brother: Kenneth Collins and three sisters: Edith McCartney, Eva Collins, and Lena Langford. Mr. Wilmoth was a retired glassworker. He was a finisher and retired from the Louie Glass Factory but also worked at the Colonial and West Virginia Glass Factories all of Weston. He attended the Horner United Methodist Church. 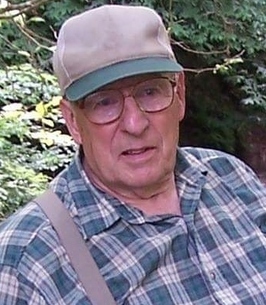 His hobbies included hunting and fishing and he enjoyed them both. Family and friends will be received at the Hardman-Paletti Funeral Home 730 N. Main Avenue Weston on Saturday, September 8, 2018 from 11 a.m. until 12 noon. Funeral services will be held at 12 p.m. from the Hardman-Paletti Funeral Home chapel with Reverend Bob King officiating. Interment will follow services in the Langford Cemetery of Gilmer County, WV. 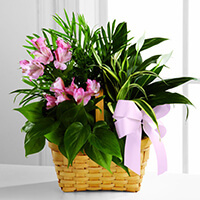 On-line condolences and life stories in memory of Shirley may be expressed at hardman-palettifuneralhome.com. Hardman-Paletti Funeral Home of Weston is honored and privileged to serve the family of Shirley F. Wilmoth. 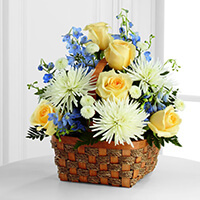 To send flowers to the family of Shirley F. Wilmoth, please visit our Heartfelt Sympathies Store. To the family, May God give you for every storm... a rainbow, For every tear... a smile, For every care... a promise, And a blessing in each trial. For every problem life sends, a faithful friend to share, For every sigh... a sweet song, And an answer for each prayer. In loving memory of Shirley. You will be missed very much.